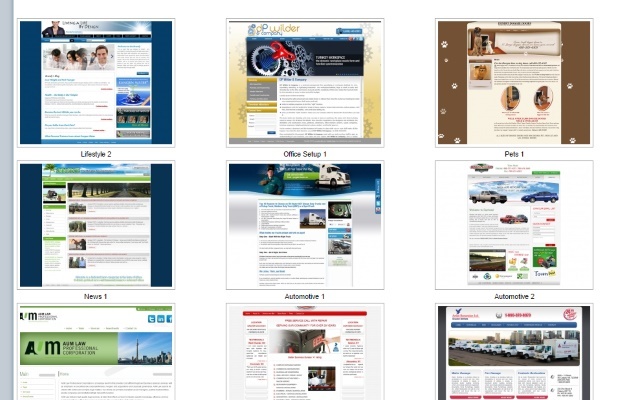 Create and Update your business online with ImSMB Instant Websites. Choose from many great looking, professional designs, all of which are compatible with WordPress, giving you access to thousands of instant features, on the optimum platform. This company not only offers an excellent website builder but you can also enjoy publishing and hosting services, as well as advertising and marketing packages to ensure the best SEO, driving new customers in your direction. With pricing for domain, hosting and website for as little as $7.95 a month, ImSMB is a non-expensive choice to begin your online journey. There are many excellent features at ImSMB including professionally designed templates that help you get your site up and running in a matter of minutes. These templates are customizable and you simply need to use the drag and drop editor to make changes to the template. This website builder is as easy to use as your favorite word processor – it really is that simple. You also have the option to add e-commerce features or a password protected area to your site depending on your business. No matter what feature you need, ImSMB has you covered. ImSMB also provides support to ensure that everything is working properly. 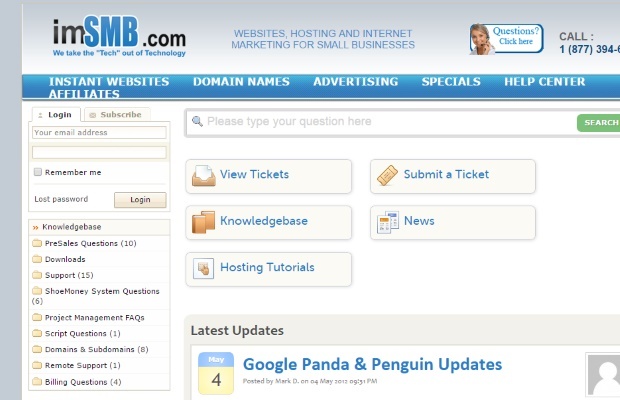 The designs and optimization features of ImSMB mean that your visitors will be able to access your sites using Firefox, Chrome and Internet Explorer – even if they have older versions running. You can add various types of media to your site with ImSMB. The platform allows you to include streaming video and audio files which can be added to an existing or a new site. Other multimedia files are supported as well including MIDI, Shockwave and related formats. Spam assassin protection is included, as well as both Google specific and more general search engine reports, completely free of charge. There are no complicated hidden fees with ImSMB and a monthly subscription is an easy all inclusive $7.95. Every website comes with a free domain, hosting and an instant website. Additionally, ImSMB offers in depth advertising package solutions for driving traffic to your website and building a customer base, which range from $59.95 per month to $379.95 per month, and include the use of print and email marketing, adwords and search ranking tools. Representatives at ImSMB are knowledgeable and eager to help. They have a direct phone number for enquiries, as well as many dedicated email addresses to direct your query to. The response time for email support is usually no more than a few hours. For general help, ImSMB also has a great knowledgebase which is similar to an FAQ section but has more detail, with articles categorized into sections for ease of use. There are also a number of helpful step by step tutorials and a ticket system that is highly efficient. ImSMB also offers informative news updates on relevant topics.